The seven billionth person in the world is projected to be born on Monday, and I thought that this event called for a “The Best…” list. A global push to 7 billion people is a Washington Post interactive. The World at 7 Billion is a special TIME Magazine report. Population Seven Billion is a photo gallery from The Atlantic. Population to Hit 7 Bllion on Halloween is from Breaking News English. How big was the world’s population when you were born? is an interactive from The Guardian. Fear of a 7 Billion Population Planet is from The Atlantic. The upsides of overpopulation is from The Washington Post. The buzz behind 7 billion people: A milestone and a warning is from CNN. World Population: 7 Billion is a photo gallery from The Boston Globe. The world at seven billion is a fascinating interactive from the BBC, which includes the option of figuring out which “number” you were in that 7 billion. The making of 7 billion is a Washington Post slideshow. Visualizing How A Population Grows To 7 Billion is from NPR. Crowded Planet is a special feature from The Guardian. Picturing 7 Billion is from The New York Times. Making Sense of 7 Billion People is from Wired. Bringing Up the Issue of Population Growth is from The New York Times. We are 7 billion is a video from The Economist. Who Is The World’s Seve Billionth Person? is a TIME slideshow. Feeding 7 billion and our fragile environment is a photo gallery from The Boston Globe. Population Control, Marauder Style is a really interesting infographic from The New York Times. 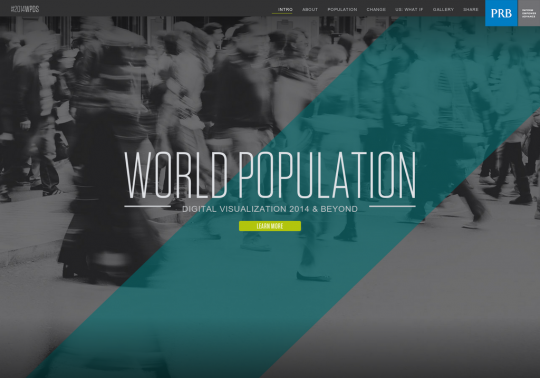 World population still growing, but slowing is an historical interactive from the CBC. Hans Rosling on global population growth is a TED Talk. Pictured: A World at 7 Billion is an amazing New York Times project. Do the dead outnumber the living? is from The BBC. I’ve previously shared videos of Hans Rosling, data magician. Beyond 7 billion is a pretty impressive interactive from The Los Angeles Times. Young Vs Old: Which Countries Have The Youngest Populations? is an interactive from Radio Free Europe. Demography Is Destiny? Teaching About Cause and Effect With Global Population Trends is from The New York Times Learning Network.